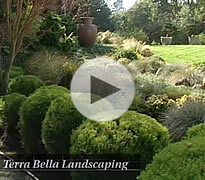 Terra Bella Landscaping is an award winning design build residential company serving Santa Cruz county. 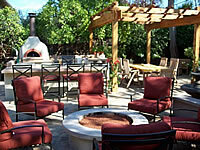 We specialize in outdoor entertainment areas, erosion control, and sustainable landscaping. Our staff is highly trained in all aspects of masonry, carpentry, horticulture, and irrigation including rainwater harvesting. 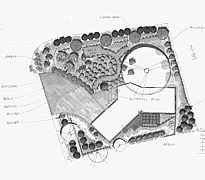 We use CAD and photo rendering in our designs. Awards include Master Gardeners Smart Water 2008, California Landscape Contractors Association 2008 large residential, along with many others. Owner Nikos Lynch gives frequent seminars and public lectures on Sustainable Gardening and Landscape Design. The companies work was featured in Sunset Magazine November 2004 issue. 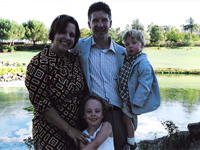 Nikos has been interviewed in many publications, and served as the Central Coast Chapter president of the California Landscape Contractors Association in 2005 and 2006. 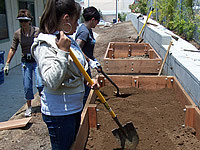 Terra Bella Landscaping participates in many community service projects including showing young people how to build community gardens. Working in forestry and garden cultivation is a family tradition. I always saw myself doing something artistic as an occupation, but I did not know that my interest in horticulture as a child would bring me to a place where I could be a part of implementing large scale growing sculptures. 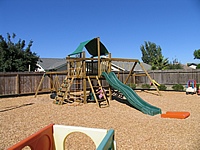 I appreciate the practical aspects of a garden to provide shade, sunbathing, cooking options, pools, spas, and play areas. But the aesthetic and spiritual aspect of gardens is constantly intriguing to me. I see where just being in close proximity to a well cultivated garden relieves anxiety and gives people a contented outlook.